With compassion, trust is formed -- the glue that bonds us -- that allows us to be more than an individual and accomplish grander tasks as a larger group. This is a part of the Great Leadership blog series. Trust is built through iterative positive interaction -- the more you interact with someone, the more you trust him/her for each positive experience. If you are hungry, and someone gives you something good to eat, you would trust that person more. If that person gives you bad food once, then trust is reduced or lost. If you feel sad, and someone tries to comfort you, then you also trust that someone more. If someone hurt you, then you trust less or never again. 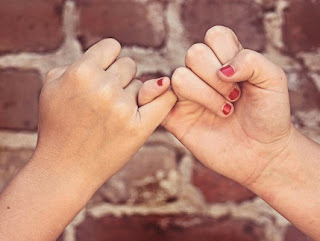 If someone made you a promise, and they kept it, you will trust more. Each positive interaction has one thing in common, that is the other person understands or feels you and desires to help you positively, hence compassion. With trust, you will want to interact with that person more as that person makes you happy and safe. You can simply just be free and yourself. Without trust, you would interact less or not at all. Now which is more fun? It's obvious -- with trust. Now imagine everyone trusts each other...now that's a really safe and happy world to be in. In terms of work, when working with people that you trust, you will naturally be more productive as you don't need to worry about what others are doing and you can focus on your tasks. And when you need your colleague to do something, you can trust he/she will deliver -- and that's key in big projects involving multitudes of teams. Trust allows social networks to be built with your friends or colleagues as you connect with the ones that you trust. In today's world, most job opportunities comes from your professional networks -- the people that you previously worked with trust that you are a good person to work with again based on a positive experience. A leader has strong social/professional networks that allows him/her to better lead with the help of his/her friends and colleagues, and that is all built based on mutual trust. So be compassionate, build trust with people by helping them succeed, and in return, they will help you succeed.